The evolution of "evidence-based" medicine changed the healthcare industry. Not that long ago, clinical judgement, anecdotal evidence, and personal experience ruled clinical decision making. Then we discovered that using research to drive decision making, treatment guidelines, and policies vastly improved outcomes and saved lives. Human Resources professionals in the healthcare industry are beginning to use this approach to build evidence-based hiring strategies for selecting and developing talent, defining the behavioral skills they are looking for, and implementing a consistent process to evaluate and develop these skills. 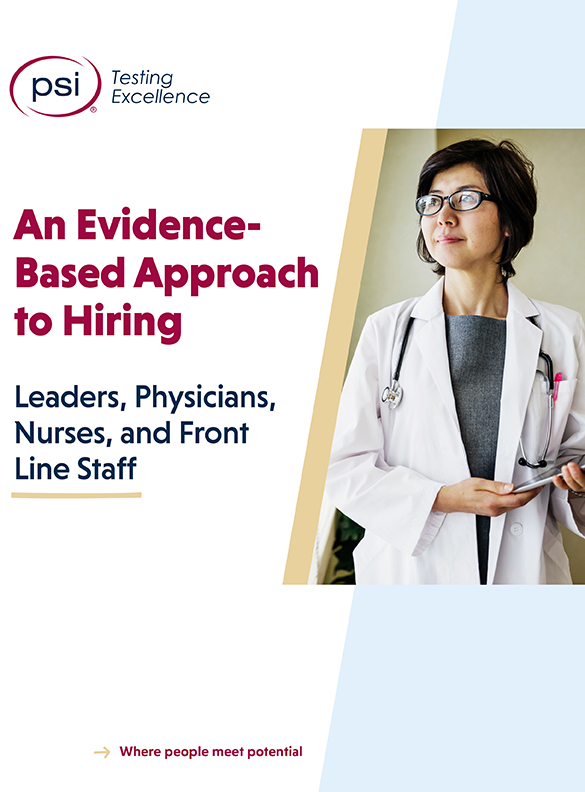 Download now to learn how organizations can apply evidence-based hiring practices for these key roles within healthcare. © Copyright 2017 by Select International, Inc. All Rights Reserved.